Der Artikel Heinrich von Herzogenberg (1843-1900): Streichquartette Vol.3 wurde in den Warenkorb gelegt. This month marks the conclusion of the string quartet series forming part of our magnificently dimensioned Herzogenberg edition. The long-awaited Vol. 3 brings together the three masterpieces constituting his op. 42 and showing him at the height of his compositional powers. The String Quartet in C minor op. 51 by his idol Johannes Brahms then rounds off the recording. In Herzogenberg's music, as in that of many of his contemporaries, references to Brahms cannot be denied. 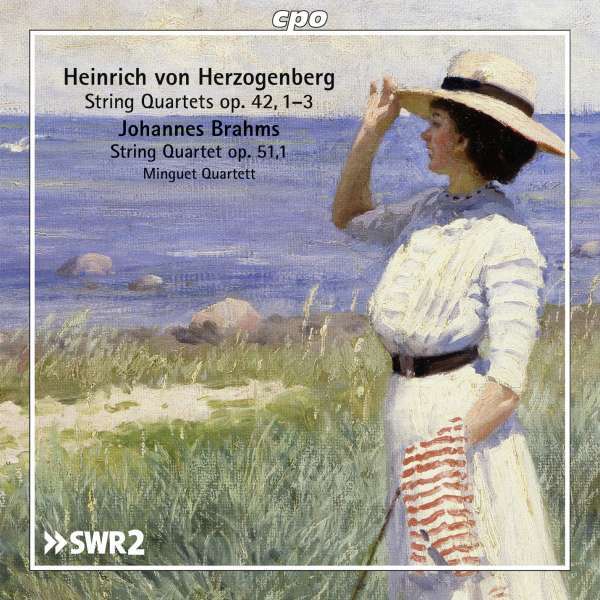 Throughout his life Herzogenberg was an ardent admirer of Brahms but had a difficult time receiving proper recognition while living in the shadow of this composer ten years his senior. 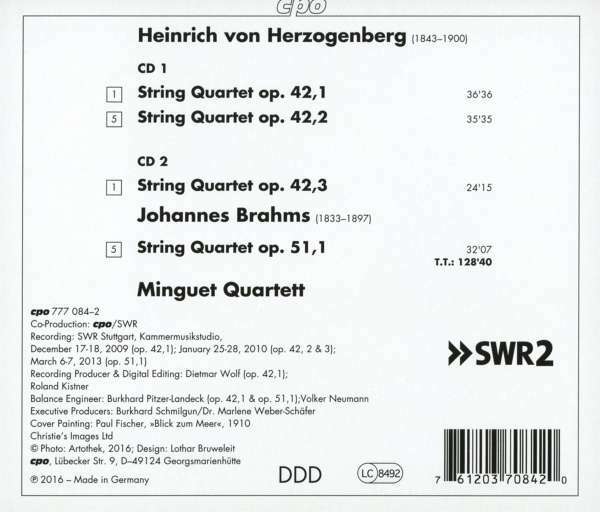 Nevertheless, his string quartets attest to an individual treatment of this demanding genre and hold their own against Brahms's string quartets as independent compositions very much equal to them. Here the clearly structured finale from the Quartet op. 41 No. 2 is a case in point; in this movement experts and music lovers alike once again will hear entirely outstanding examples of developmental work, various ideas for dramatically effective and intricate motivic operations, and an asymmetrical phrasing design. »Magnificent music is magnificently rendered!« (klassik. com 2009 of Vol. 1).